Men’s and ladies’ comfort station. have been designated as Chicago Landmark: February 5, 2003. 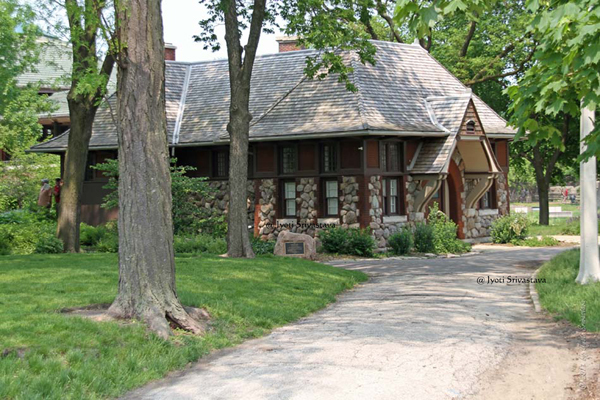 Restored by Lincoln Park Zoo, supported in part by a Save America’s Treasures grant, administered by the National Park Service, Department of the Interior. Additional funding provided by Illinois Department of Commerce & Economic Opportunity, State Representative Sara Feigenholtz, Tawani Foundation and The Richard E Driehaus Foundation.. The information here is sourced from the official Lincoln Park Zoo newsletter.. 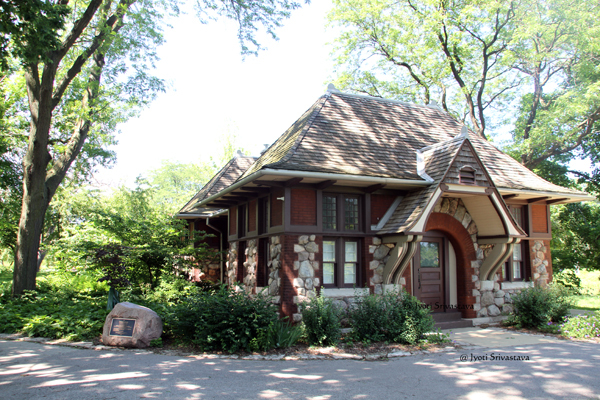 Built in 1888, this more than 100-year-old Victorian-era “comfort station” [public restroom facility] was closed to the public many years ago. Over the decades it quietly decayed. 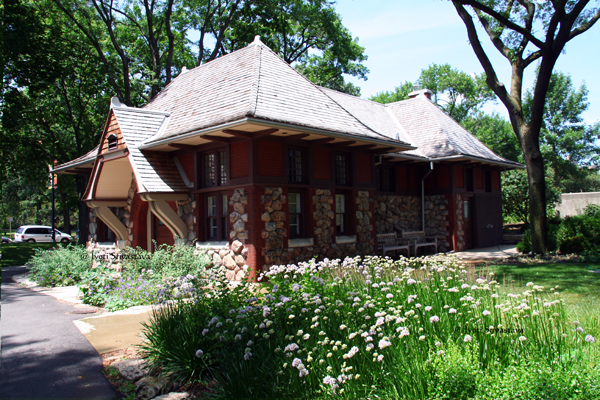 In 1995, the zoo began utilizing the building for its volunteer gardening program and took over responsibility for the cottage from the Chicago Park District in 2003. – Massive efforts to seek grants and financial gifts for the restoration project. By late 2007, funding was secured through a Save America’s Treasures grant and with some additional gifts, the renovation work began. But restoration was not so easy. 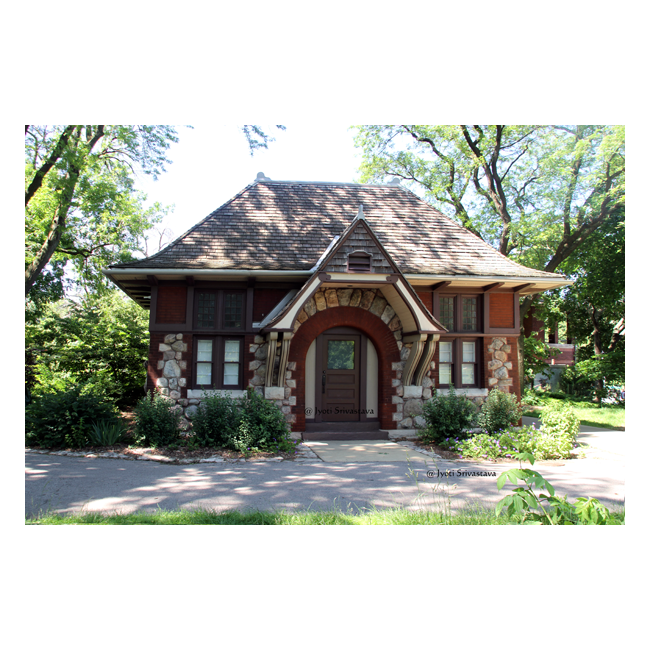 To begin with, the architects were unable to find even a single historical image of Carlson Cottage for use as a reference for restoration. 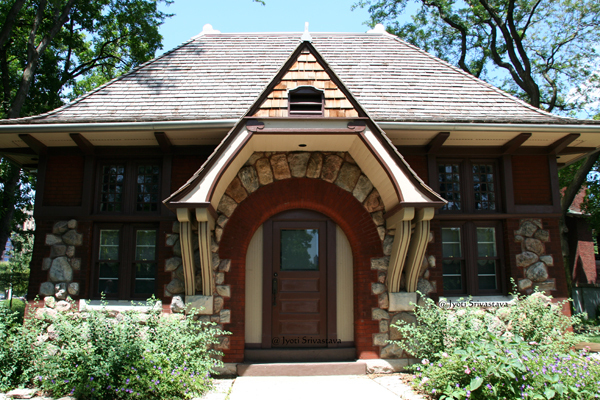 While there were dozens of images of the South Pond Refectory [Café Brauer], located just a few steps away, no images of the cottage in its original form existed anywhere in Chicago. Apparently nobody wanted their picture taken in front of a public restroom. “With so few records or representations of the original 1888 structure, true restoration was not possible. 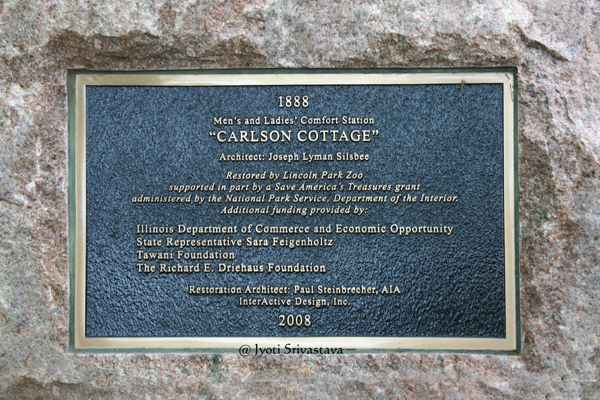 Instead, rehabilitation and renovation was undertaken to recreate, to the best of our knowledge, the original external look of Carlson Cottage,” – Paul A. Steinbrecher, Preservation Architect of InterActive Design, Inc.
One of the most helpful discoveries was an historic engraving of the cottage dated 1888. A local construction trade newsletter provided information on original configuration of windows, carpentry details and masonry materials. Original wooden shingles were found in the attic. An historic paint analysis was undertaken to establish the original paint colors, all of which were restored. 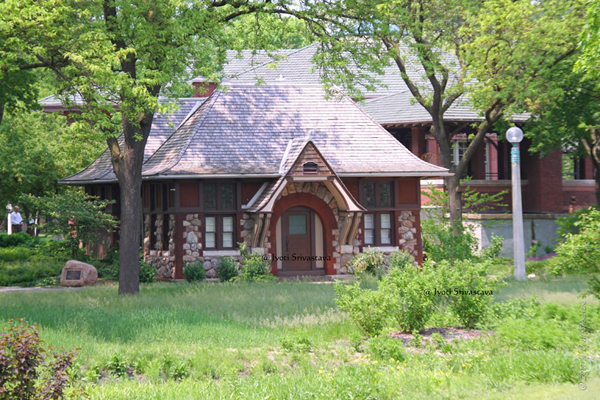 In addition to uncovering bits and pieces of the cottage’s original form, the team made a surprising and unexpected discovery during the demolition that hints to Lincoln Park’s “gangster” past. A rusted 19th century hand pistol was lodged in a plumbing vent pipe, which in the early years of the Cottage was quite accessible from the ground. “The actual story behind the artifact will never be known, but it is speculated that the pistol may have been used in a stick-up in the park and then tossed into the vent pipe to conceal the evidence,” – Steinbrecher.